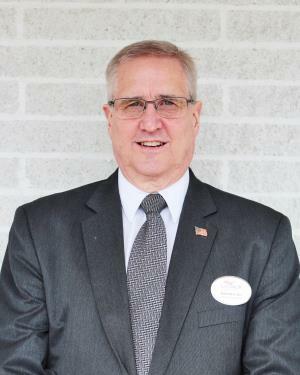 CHUCK ALTENDERFER, is a graduate of Muhlenberg Senior High School, Laureldale, PA, and Penn State University, State College, where he received a Bachelor of Science degree in Business Management. He has worked as a Supply Chain Manager for many years. He is a member of Fleetwood Bible Church, Fleetwood, and is an active member with The Optimist Club of Kutztown. Chuck resides in Kutztown with his wife Ginny (Bodkin) Altenderfer, and has two daughters, Eliza Altenderfer and Leanza (Altenderfer) Kauffman. Chuck enjoys attending sporting events. He has been a member of our funeral home staff since 2013.